New Jersey is one of the United States’ most interesting regions. This state, nicknamed the “Garden State”, is home to beaches, cities, skyscrapers, countrysides, and highways. The kind of geography you’ll see in New Jersey varies quite a bit depending on which part you visit. But learning about all the state’s features can make for a fun unit study! 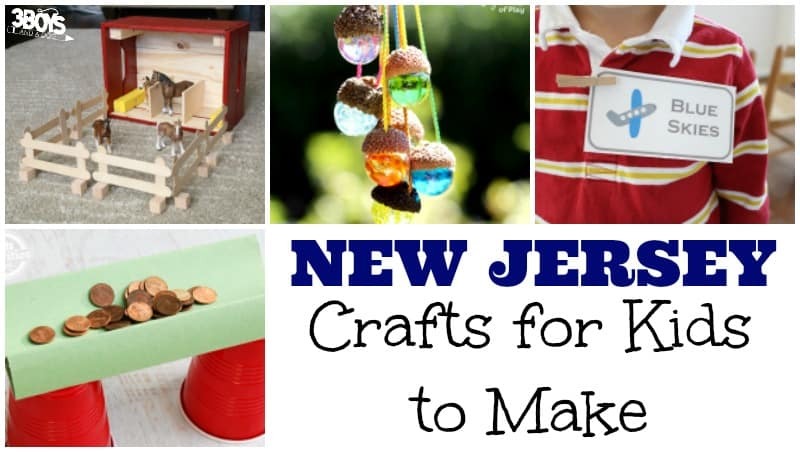 When you’re ready to study this state with the children, don’t miss these New Jersey crafts for kids! They’ll have fun constructing bridges, football crafts, acorn necklaces and more! By the way, New Jersey is famous for its sub sandwiches. Give the kids a taste of these heroes with this adorable Submarine Bento Lunch for kids! 1. Newark, New Jersey is home to one of the largest airports in the U.S – Newark Liberty International Airport. 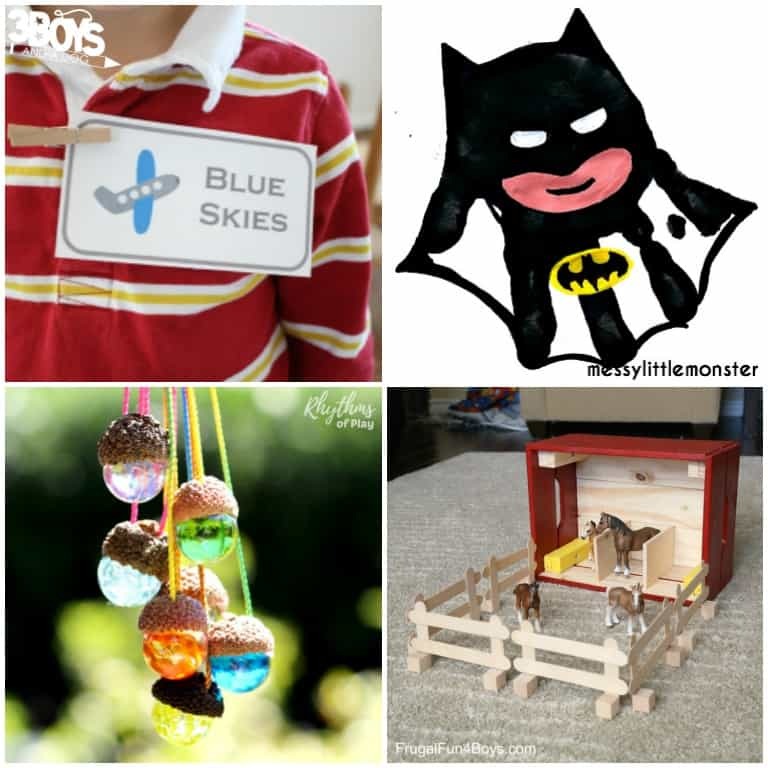 Let the kids pretend to work there with these cute Pretend Play Airport Printables! 2. Did you know that the fictional Gotham City is supposed to be located in New Jersey? If your kids are into superheroes, make this easy Batman Handprint Craft! 3. The New Jersey Turnpike is a toll highway that runs the length of the state from north to south. Take this fun License Plate I Spy Game along on your next ride and let the kids pretend to ride the turnpike! 4. The George Washington Bridge connects the state of New Jersey to the state of New York. Thousands of people cross it everyday. This fun Build a Bridge Craft using plastic cups, paper, and pennies is a perfect STEM activity for this unit! 5. These free Busy Bee Scissor Skills Activity printables are a cute way to help preschoolers study the honeybee, New Jersey’s state insect! 6. Learn how to make this easy DIY Toy Horse Stable to appreciate the horse, the state animal of New Jersey. 7. Despite their names, both the New York Jets and the New York Giants play their home football games at Meadowlands Stadium in New Jersey. Have some art fun making this Potato Stamped Football Craft! 8. The state tree of New Jersey is the Northern Red Oak. Collect some acorns from your yard and make this lovely DIY Acorn Marble Necklace! 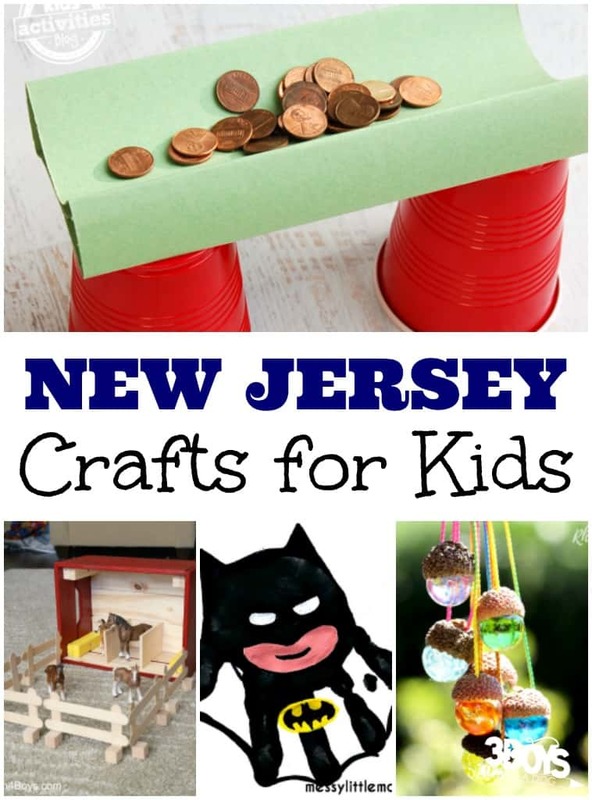 Do you have any ideas for New Jersey crafts for kids to make? Share your suggestions in the comments!